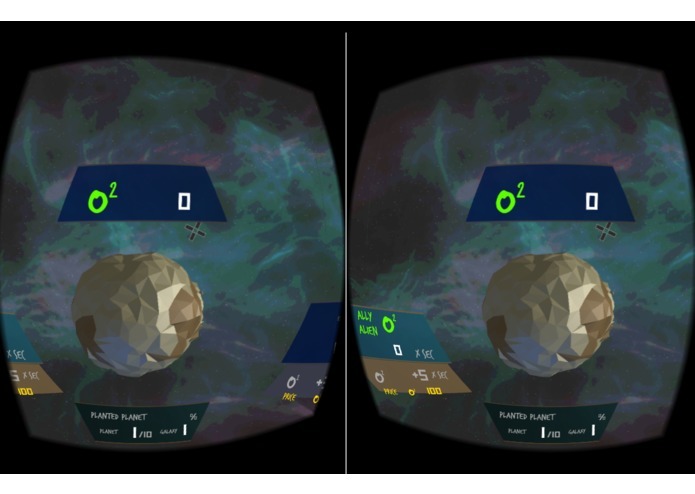 Space O2 is a VR videogame about planting plants on other planets, since earth got destroyed by pollution. 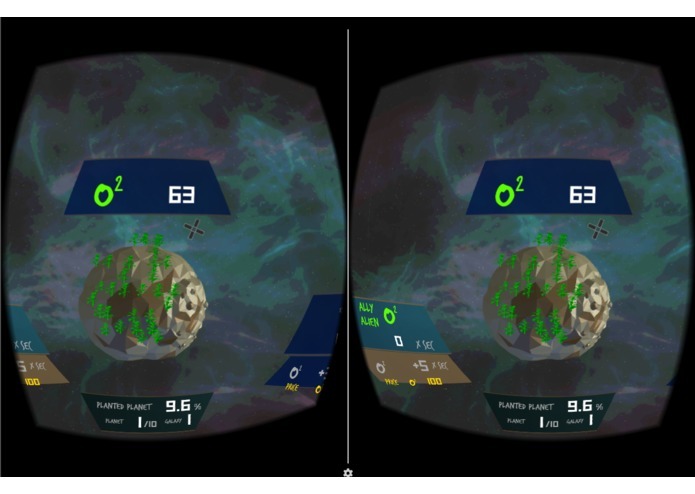 Space O2 is a game where you plan plants on other planets. All because the lack of awereness of enviorment. VR Games only look like tech demos. They aren't addictive enough for the player to be feasible. It's the first Incremental VR game. The gameplay is minimalistic and you only need to play it for seconds, being able to leave it on idle mode as if it was "playing for you". I used the Merge VR headset, Controller and API to create the experience. Lack of time because of inefficient distribution of tasks. While going solo has its advantages on small hackhaton projects, feedback will always be a must. It's an endless game, so customization is easy to create and implement.